Flooding can be dangerous for your property. Whether it is heavy showers or a storm that caused it, when Nature unleashes her fury there is little we can do to protect our property. There can also be other reasons for flooding such as a burst pipe or an overflowing bathtub. When your property is affected with floods, trust Hallandale Beach Restoration Expert to be by your side and help salvage the damage. 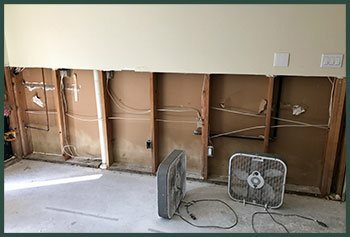 With over two decades of helping property owners restore their property after a flooding disaster, we are the best known name for damage mitigation in Hallandale Beach, FL area. 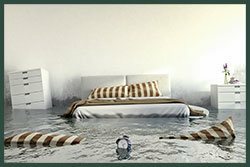 If your property has been hit by flood, trying to handle the crisis on your own can be extremely challenging and time consuming. 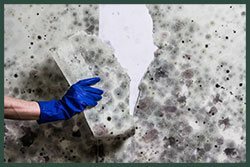 With time, the damage will only worsen and affect the structural integrity of your property, cause unwanted mold growth, affect your furnishings and contaminate your home. Just drying out the property is not enough in such cases. 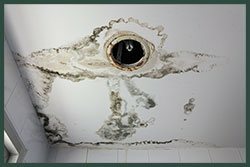 Moisture may still be present in the home and be a breeding ground for mold and bacteria. When faced with such trying times, it is a wise idea to take the help of professionals. 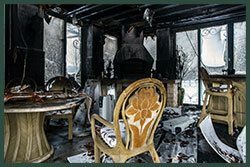 At Hallandale Beach Restoration Expert we have extensive experience and expertise in dealing with such crisis situations. We arrive within 30 minutes after you place a call on 954-390-2414 and work fast to mitigate the damage and restore the property to its previous condition. Sometimes leaks from a clean water source can cause flooding of the property. 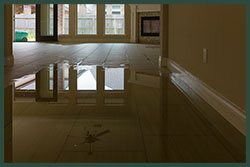 While the water can gradually get contaminated if it stays put for a long time, immediate intervention after a flood with proper drying can help eliminate any risks of water damage. It refers to flooding due to water released from a water source that has some degree of biological, chemical or physical contaminants. For example - overflowing sinks or ground surface water. In such cases, apart from draining the water, the place has to be cleaned, decontaminated and sanitized as well. This type of flooding is usually caused by the overflowing of an extremely unsanitary source such as sewage. It contains harmful bacteria that can cause the spread of harmful diseases. The property would need extensive sanitization after water is drained out to remove every trace of microbe from the property. When you call us, you can expect us to arrive in less than 30 minutes. No matter where you are located in and around Hallandale Beach, FL area, we will reach you within the shortest time. We know that any delay can only increase the extent of damage. Upon arrival, we will get down to work immediately, use cutting edge tools to dry and disinfect the property completely. We also assess the damage done and provide you and your insurance company an estimate of the same. 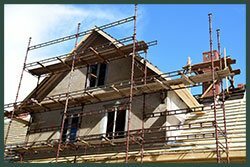 You can expect us to be with you from the very start of the restoration work to the finish till the work is complete. Is your property affected by flood? Halt the damage before it eats into your property. Call us at 954-390-2414 for immediate help.